Comprehensive descriptions of each of the 9 Enneagram personality types. 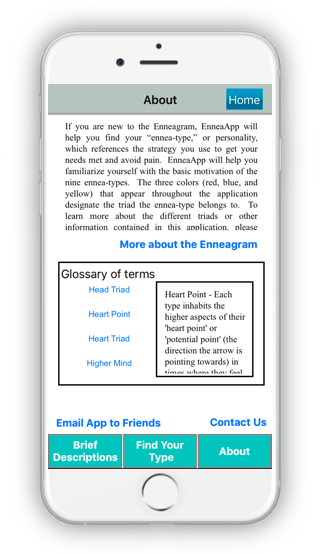 A free Enneagram test to help you accurately discover your "ennea-type". Tips for how to get along with other personality types, in life and at work. 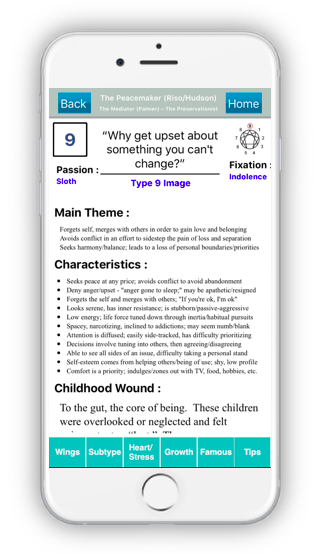 Each of the nine types includes six pages of bullet pointed text to make accessing the information you need quick and easy. The glossary of terms found in the About Page makes learning this ancient wisdom accessible and digestible. "I refer to this when coaching clients, pursuing my own goals, and keeping harmony with my spouse and children. Love it. A life changer." "Life changing stuff. I love this personality test and it just keeps getting deeper and adding more layers. So amazing for an authentic sense of self." "This app is a favorite! I have collected many books on the Enneagram, as well as taken courses from both Helen Palmer and Russ Hudson. As a spiritual director, I use it to refresh my memory in working with my directees. It is an easy resource for me whether for myself or with my practice as well. I use it frequently and have already recommended it to family, friends and colleagues!" "Most accurate synopsis of my inner most psyche I've ever heard. It is true of all others who I know have taken the test. Be honest. Be true. This will expose the real you." 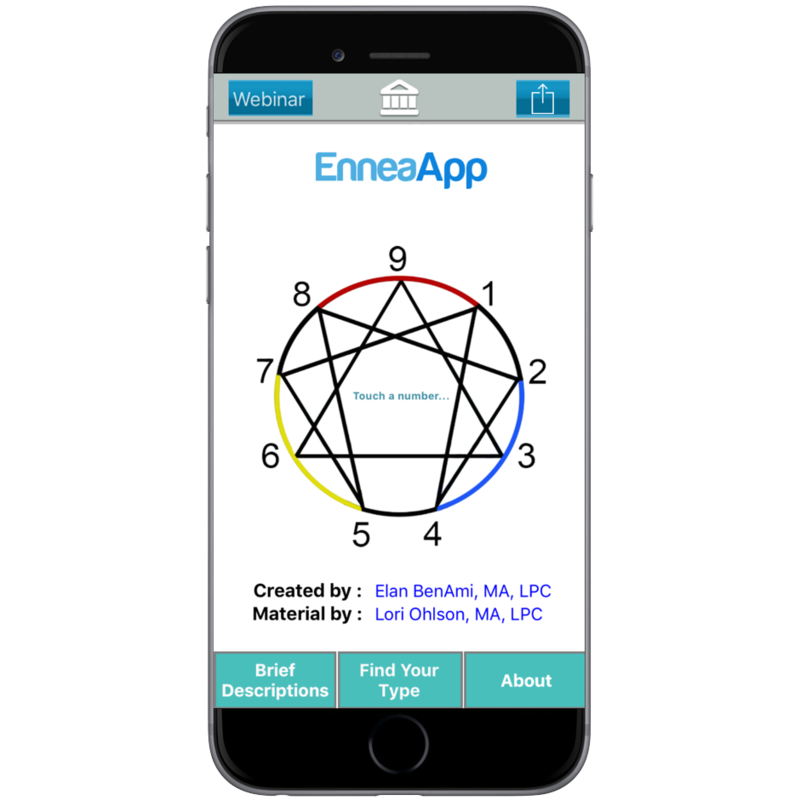 "As I explore the Enneagram more, this is a very handy and well organized app! I've used it for myself and friends to test, compare, discuss and grow." "I find this app incredibly handy, not just because of its insightful and in-depth information and genuinely helpful suggestions, but also as a writer!"